Home » Plein Air Painting for Beginners – Tips and Techniques to Get you Started! Plein Air Painting for Beginners – Tips and Techniques to Get you Started! Below are a series of plein air painting videos designed for beginners, from Kyle Buckland with The Artful Souls youtube channel. In this free series, you will learn all about the essential materials and techniques that are needed to become a successful plein air painter! Visit Kyle’s website here! Support him on Patreon here! 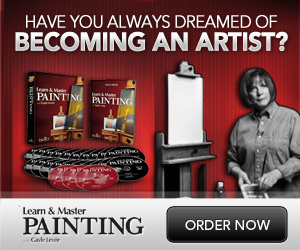 Want to learn the basics of plein air oil painting? The term plein air comes from the french for in the open and describes the concept of taking your paints and easel outside and painting the landscape on location. Join me in my series of free informative beginner level videos, where I will teach you about the essential materials and techniques required to successfully paint the landscape en plein air!